Precision MicroFab has manufactured micro-nozzles using a variety of materials. 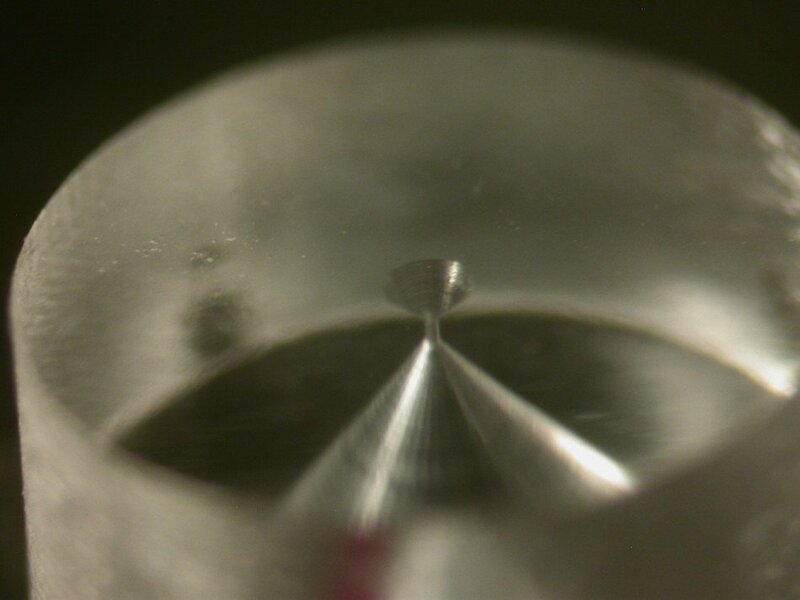 The top photo at right shows a 50 μm micro-nozzle in a sapphire disc. 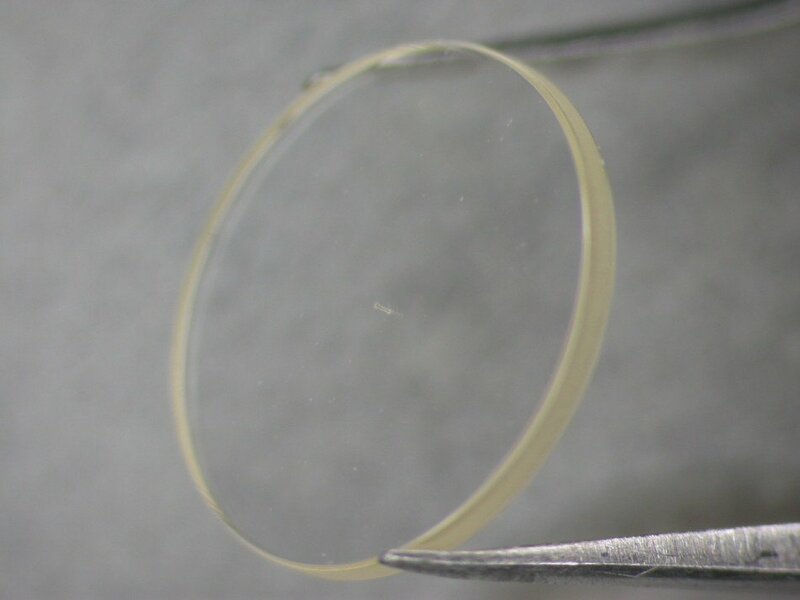 The disc is 5 mm in diameter and 0.5 mm thick. The nozzle was created using an ArF excimer laser. The bottom images show a polycarbonate nozzle with a conical entrance and exit. The neck of the nozzle is 100 μm long and 100 μm in diameter. This nozzle was manufactured on our proprietary micro-mill.